As new update rolled out, Valve’s Matchmaking now uses something called “The Trust Factor.” It develops the experience of playing in the matchmaking system which examines the trust level of other players and lobbies them with the players who have the same trust values. In simpler terms, if you been a good boy all throughout your journey in the game, you will possibly be lobbied with good players. Otherwise, if you are just a bad influence on the CSGO community you will join games with other bad players. Perhaps, you will have the option to choose between standard prime matchmaking or The Trust Factor enabled the system. So, how can you increase your trust value? Well, all you need to do is play prime, don’t cheat, and be nice to the fellow players, that way you will be rewarded by playing with same people who act the same way. According to Valve “The results of the experiment has been positive. In matches created using Trust Factor, most players ended up generating fewer reports regardless of their prime status.” Which means, the probability of cheaters facing cheaters (HvH) and legit players facing their significant others are maximum. Q: What are the factors used in the new Trust Factor matchmaking system? They don’t want players to worry, while they’re playing CS: GO or other games on Steam. Because Valve is constantly updating The Trust Factor matchmaking system, any list of factors would supersede almost instantly. That being said, in general Valve is looking at your past experience in CS:GO and on Steam, to ensure the system is as accurate as possible. Q: Can I look at my personal Trust Factor? A: Valve did not plan to display your Trust Factor, instead, the goal is to provide a better matchmaking experience without you having to worry about optimizing anything. In fact, in most cases knowing your Trust Factor wouldn’t be very helpful – Valve will try to match you with similar players, but like skill groups, the range of players on a server will vary depending on the time of day, your region, the maps you’re queuing for, etc. Q: What can I do to improve my Trust Factor? A: All you need to do is be a positive member of the CS: GO and Steam community. 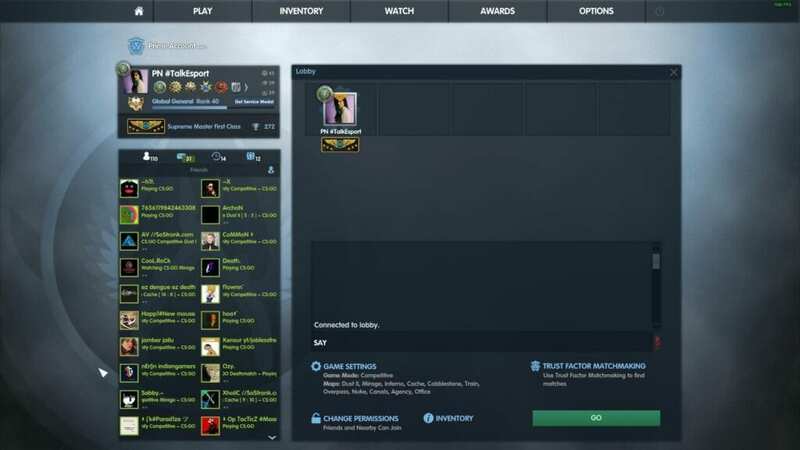 Valve is still iterating on the Trust Factor model and adjusting the way various factors are combined, but they must also ensure you a better gaming experience on both CSGO and Steam entirely. The more you play, the more information the system has and the easier it will be for the system to determine who you should be matched with. Q: I am a Prime User, does that improve my Trust Factor? A: Yes! 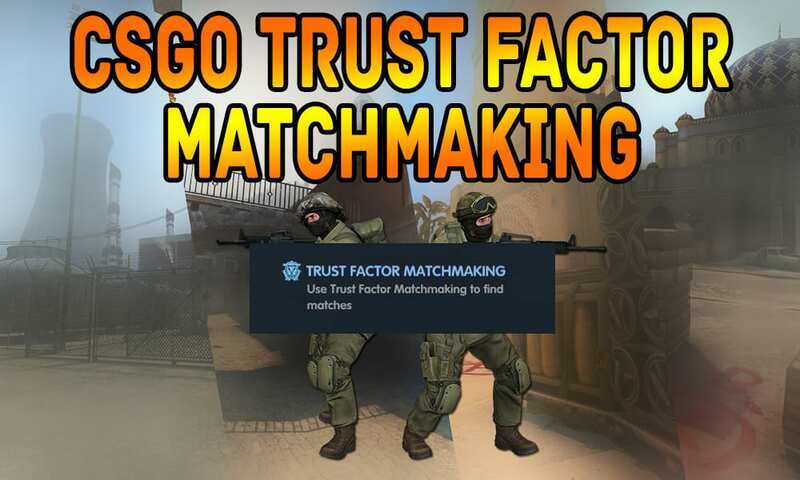 Phone numbers and CS:GO Rank are among the factors used in the new Trust Factor matchmaking system. If you had Prime Status before, your Trust Factor will benefit from your phone and in-game experience. If you have not linked your CS:GO account with a phone number, you should, which improves your overall matchmaking experience. Q: I’m a new player, will I have a low Trust Factor? Ans: Not necessarily. Trust Factor is impacted by your experiences on Steam as well as CS:GO. If you’ve been a positive member of the Steam Community in the past, you’ll likely enter CS:GO with a high Trust Factor. Q: How will you know if this system is better than the previous one? A: In addition to reading player feedback, Valve has been evaluating Prime by measuring the way players interact with each other. Objectively, valve can tell that Prime is successful when players stick to their matches and report/ kick each other a bit less (these tend to be good measures of a pleasant matchmaking experience). Valve is using the same approach to evaluate the Trust Factor system. A: Send an email to Valve at [email protected] with the subject “Trust Factor Feedback.” Include a description of your experience and your Steam ID. These reports will help VALVE to improve the system. Q: I suspect that my friend has a low Trust Factor because of the quality of my matches when, and only when, I party up with them. What can I do about this? A: Tell them to email valve as recommended above. Be aware that when players are in a party, Valve systems use the lowest Trust Factor of any individual in the party for matchmaking purposes.